The idea for this video was triggered by Oleg Zhurakousky's desire to share some of the more interesting integration solutions that came out of the actual customer engagements as well as the questions that are most frequently asked on the Spring Integration forums. Oleg showcases the Spring Integration framework and how it can help you to build, manage and maintain powerful enterprise-grade integration solutions. In this edition of "Practical Tips-and-Tricks" Oleg covers some of the more advanced topics of enterprise integration such as message-flow-segmentation, custom retry logic, error handling, timeouts and more. 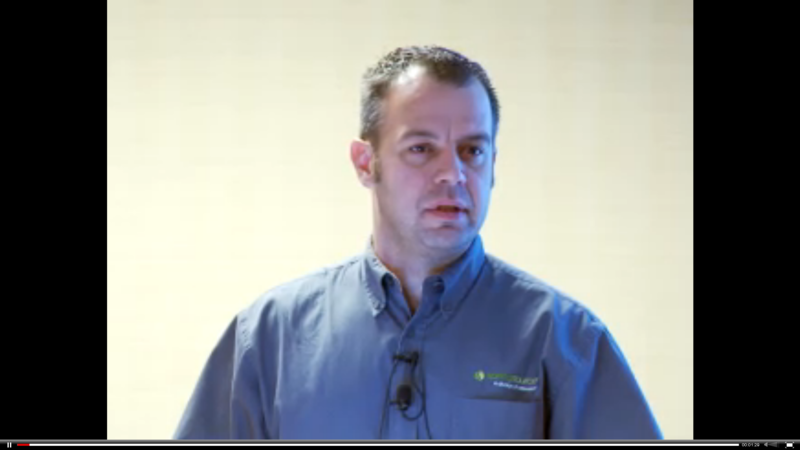 This video is based on a refined version of Oleg's very successful talk delivered at SpringOne 2GX 2011. The Spring Integration team is pleased to announce the release of Spring Integration 2.1.1.RELEASE. This is the first maintenance release of 2.1.x branch and contains the usual things like bug fixes and improvements related to AMQP, Gemfire, Mongo and Redis modules which were first introduced in Spring Integration 2.1.0. All together 56 issues were resolved with this release. To learn more about the project, visit the Spring Integration homepage, watch the introduction video or ask a question on the forum. Spring Web Flow 2.3.1 is now available for download. This maintenance release includes an upgrade to Spring 3.1.1, JavaServer Faces 2.1.7 along with a number of bug fixes. For those tracking the project it is now hosted on Github including a separate issue repository to help reproduce issues based on one of several project templates. I am happy to announce the first release of the Cloud Foundry Integration for Eclipse 1.0. We're pleased to announce the update release 2.9.1 of the SpringSource Tool Suite (STS). This update improves the Spring Integration graphical editing experience and fixes a performance problem with the content-assist in the Java editor when working inside a Spring project. More details on new features and bug fixes can be found in the New and Noteworthy document. Detailed installation instructions are also available. As always downloads are available from the STS download page. I am pleased to announce that the first milestone of the Spring GemFire 1.2 project for Java is now available! For more information see the reference documentation. Spring Integration committer and teacher Oleg Zhurakousky demoes performing transaction management, error handling, asynchronous processing, advanced aggregator configuration, and much more using Spring Integration and the Enterprise Integration Patterns. This talk is a chance to stand over the shoulder of a master as he tackles some frequently asked questions about Spring Integration and demonstrates the solutions in code. This video will provide an introductory overview of Androids architecture, the layout of an Android project, the use of various Maven plugins and tools for enabling dependency management in your Android project. When building Android apps, you can use a third party library, like Spring for Android, that provides an abstraction for consuming RESTful services within your native Android app. Spring Android also supports the use of Spring Social on Android, and this presentation will discuss how Spring Social can help you connect your apps to OAuth protected services like Facebook and Twitter. In the recent Messaging for Modern Applications webinar, Tom McCuch explained how the landscape of enterprise messaging has changed and discusses what new styles of solutions are emerging. Tom covers emerging messaging application architectures, AMQP & RabbitMQ as messaging solutions and the rise of Spring Integration for messaging use cases and as a DSL for Spring-based applications. For developers who are interested in tutorials and eLearning we have launched three instructional videos on Youtube. These tutorials focus on Gemfire, Hyperic and tc Server.